Lead token. 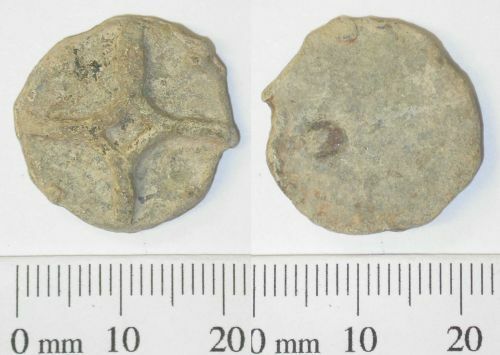 Circular lead disc with relief decoration of a long cross with central open lozenge on one side; the other side is undecorated. Medieval-Post Medieval. Diameter 22.18mm, thickness 3.94mm, weight 8.90g. Obverse description: Relief decoration of a long cross with central open lozenge.